Everyday life can be so mundane. Why be a simple salaryman when the prospects of being a pirate, adventurer, or even a full-fledged monster hunter can be an adventure worth taking. Whether you assume a new role on keyboard, controller, or touchscreen, there’s been plenty of vocations to test your battle prowess. The Nintendo Switch should receive an honorable mention in 2018 for the amount of developer support, bringing both new and remastered experiences to Nintendo’s latest console. While some of these titles to grace Nintendo’s hybrid platform have been on previous consoles for quite some time, they can be new again for those that pledge allegiance to just one side of the console war. 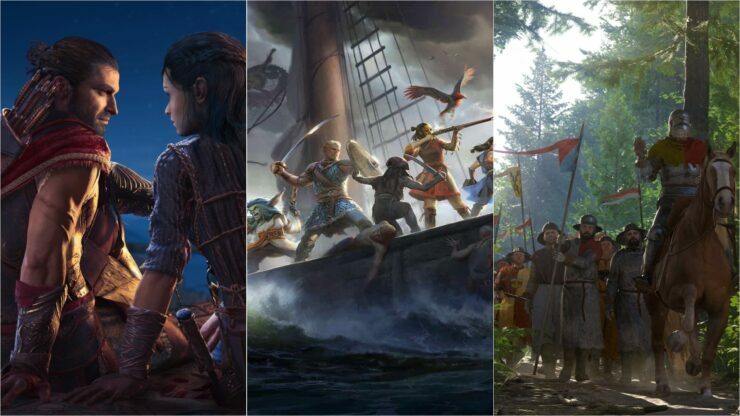 Do let us know your preferred RPGs of 2018 in the comments! Obsidian Entertainment’s follow-up to undoubtedly one of the best cRPG’s in their history was just as memorable in 2017 with the Complete Edition for consoles as it was when it first came out two years prior. The second entry in the series, Deadfire, builds upon the successes of its predecessor while opening up the adventure to the player much quicker via the use of naval traversal. 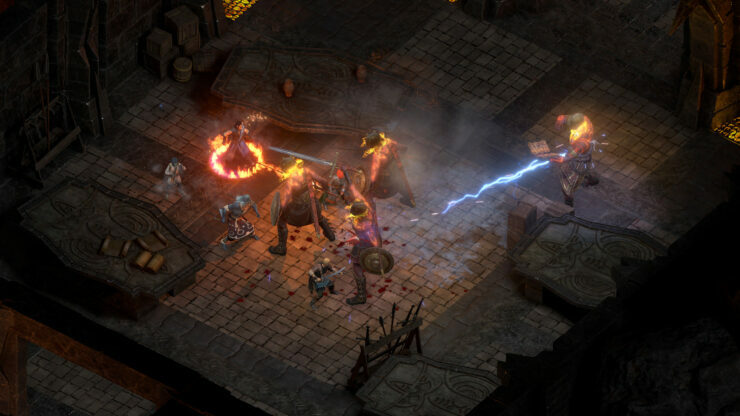 Pillars of Eternity II is a game, first and foremost, about roleplaying, and not just in the “gain XP for more hit points” sense. The game’s story and quests aren’t that mutable, but the way you respond to them is entirely up to you. It feels like you’re genuinely free to become the kind of hero you want to be, and you’ll eventually become pretty attached to your version of the Watcher. Octopath Traveler isn’t really a game you’d play for an incredible story, neither is it there for an incredible world. But playing it is an undoubtedly satisfying experience – while it lasts. Beating down enemies just feels good, and even fighting bosses for up to 20 minutes somehow stays fun and interesting. It’s the simple satisfaction of equipping your team with weapons, armor, powering up skills, and seeing your improvements in battle as you easily fell enemies and keeping growing and progressing. The story is there to push that growth along as you explore the world. 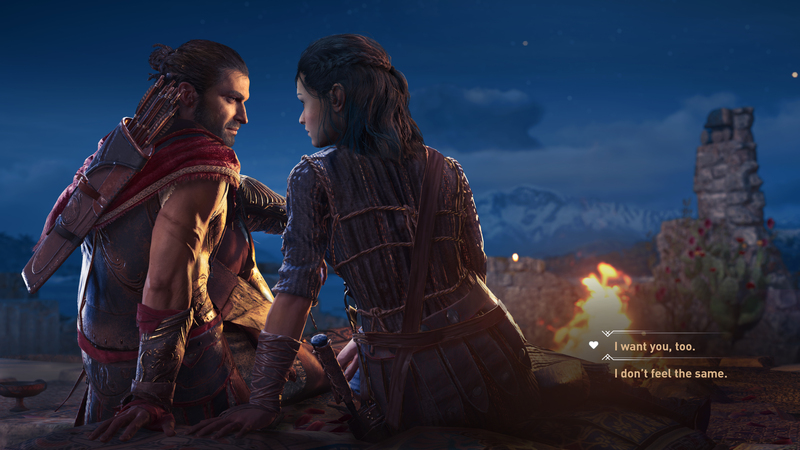 After the first step taken with Origins last year, Ubisoft drove Assassin’s Creed into a full-fledged roleplaying game with Odyssey. For the first time in the franchise, players had the chance to choose the protagonist between two siblings and most importantly to carve their own paths in the game world through dialogues, choices and relationships (even romanced). Given the strong commercial and critical success enjoyed by Odyssey, as well as the recent blessing of series creator Jade Raymond, it’s easy to picture the next Assassin’s Creed games venturing even deeper into RPG territory. For a series that has reached three decades of releases across every Sony and Nintendo device (except for the Virtual Boy, but at least that doomed platform received an Atlus spinoff), Dragon Quest is more than just an iconic JRPG brand. Both the overture and slime monster are iconic in their own way, but it’s the tried-and-true combat system that brings players back in to save the world again once more. 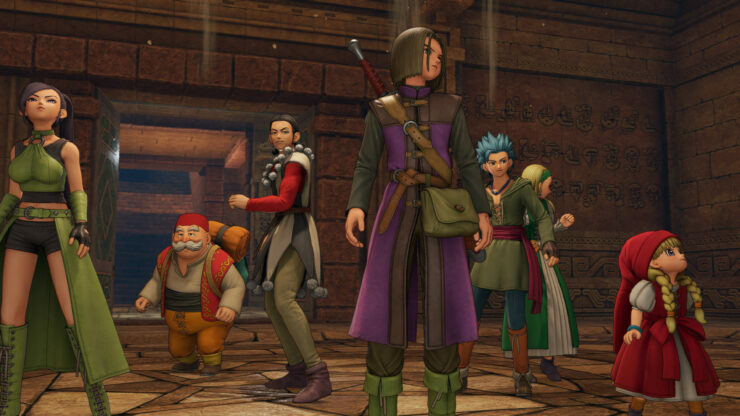 Dragon Quest XI: Echoes of an Elusive Age is certainly the prettiest entry in the series, and while the music isn’t quite as good as it could have been, the complete package should be essential for any fan of Japanese roleplaying games as explained in the review. It might be quite the leap going from Dragon Quest IX’s release on the Nintendo DS to XI on the PlayStation 4 for those of us folks outside of Japan, but the wait was certainly worth it. Yuji Horii and the team have once again shown why they’re the traditional kings of Japanese role-playing games. With a careful balancing curve that can take players from the beginning to the story’s end with the right amount of challenge, there’s a very delicate art to this style of turn-based JRPG that unfortunately hits a few low points in the story department. And now, players around the world can finally see for themselves why the series is so celebrated and why Dragon Quest XI: Echoes of an Elusive Age marks the high point for this three-decade-long series. The wondrous art style of Studio Ghibli returned for a second time in Ni no Kuni II: Revenant Kingdom. Sharing little with its predecessor beyond a brief storybook retelling of Oliver’s adventures, this sequel stands up quite well as a standalone adventure. Evan certainly wound up being a more charismatic protagonist this time around and his party members helped the whole world of Evermore feel that much more alive, as thoroughly discussed in the review. 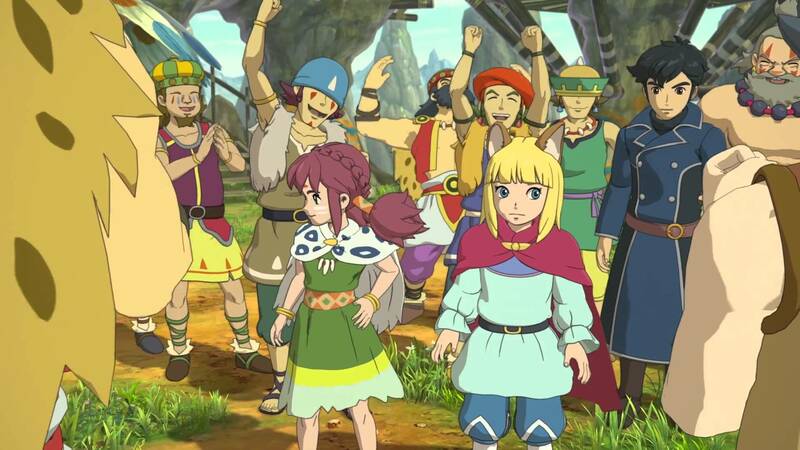 King Evan’s adventures are something that I soon won’t forget after wrapping up Ni no Kuni II: Revenant Kingdom. The rare trifecta of having everything I wanted in a JRPG was in full swing: a charming story with memorable characters, combat that ratchets up into higher difficulty with the postgame content, and side content that helped it stand out as something truly unique. While the kingdom skirmishes are the weakest part of Ni no Kuni II, building up the kingdom of Evermore into a global superpower was a feeling that no other RPG of late can match. At long last, the crowdfunded first-person roleplaying game set in medieval Bohemia launched on the market. Kingdom Come: Deliverance was a breath of fresh air in the genre, managing to deliver a compelling and fun experience even in a historical setting, which roleplaying games have always tried to avoid in favor of fantasy, sci-fi or post-apocalyptic worlds. Medieval Bohemia turned out to be a beautiful land to explore while Henry’s grounded and believable story kept things interesting from beginning to end. 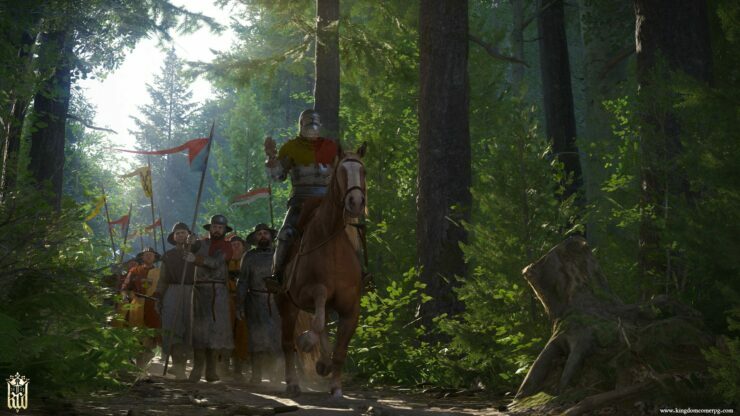 Kingdom Come: Deliverance more than earned its right to get a proper sequel and we can’t wait to see how that would look like. Wccftech Community’s Best Games of 2018 – Vote for Your Favorite Titles!